Outdoorsman and folk hero Daniel Boone is far better known than the national forest named after him. That is part of what makes Kentucky’s Daniel Boone National Forest so great. It’s one of those wonderful places that you stumble upon, spend an entire day exploring and enjoying, and leave wondering how you’d never previously heard of it. The national forest is one of those great spots hidden in plain sight. It spans more than two million acres and 21 counties, yet many people don’t even know it exists. At its inception the forest was 1,338,214 acres. Through land purchases and donations from coal and timber companies, the forest eventually grew to the size it is today. However, there are still boundary issues within the forest since some of the land remains in private hands. The forest wants to acquire those parcels but the owners don’t want to let go. Naming the forest was probably the most contentious aspect of national forest’s origin. Initially dubbed Cumberland National Forest, protests ensued since that name traces back to Prince William, the Duke of Cumberland, who put down the Jacobite Uprising in Scotland against the British crown in brutal fashion at the Battle of Culloden in 1746. That conflict caused families to flee Scotland for America in general and to Kentucky, specifically. 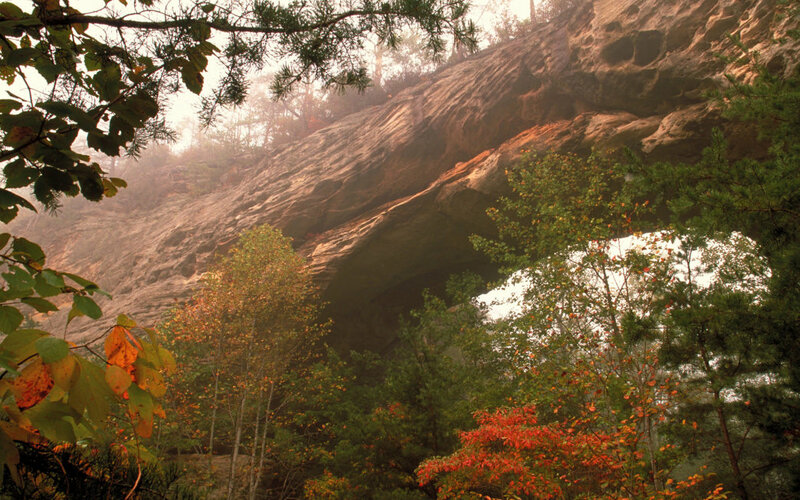 In 1966, thanks to President Lyndon B. Johnson, the land officially became Daniel Boone National Forest. In order to get to the forest, you’ll have to make your way to Bypass Road in Winchester, Kentucky. There are several offices associated with the Daniel Boone National Forest, but many of them aren’t in the park. So double check their locations before you set off for one place and end up in another. While access to many areas are free, permits are required for certain activities. There are also fees for boat ramps and shooting ranges, camping in the Red River Gorge, driving on off highway vehicle (OHV) trails, and to rent equipment from a park office. None of this is prohibitively expensive. America the Beautiful passes and Golden Passports are accepted in the forest. 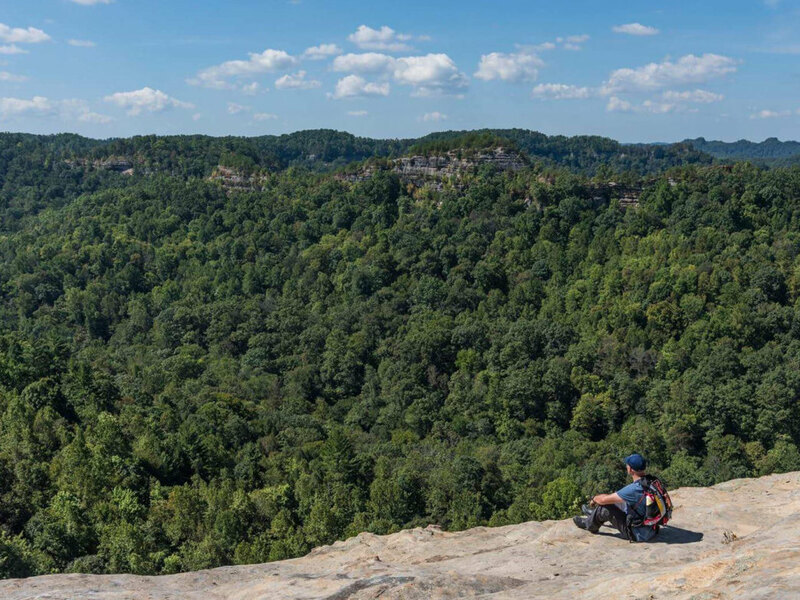 From backcountry camping to RV-style glamping and cabin rentals, the options for places to spend the night in Daniel Boone National Forest are extensive. If you’re taking the RV approach, there are spots in the Cumberland District, the London Ranger District, and the Stearns District that are all RV camp-able. If you’ve got a group with you, there are four specially designated group camping locales that are designed to meet your specific needs. Otherwise, the Zilpo Recreation Area has plenty of cabins. Backcountry options abound in almost every area of the park if you’re looking for something more remote. Whatever your style, keep these key guidelines in mind: don’t bring your own firewood, be mindful of the fact that there are bears about, and follow the forest’s rules and regulations to avoid fines. 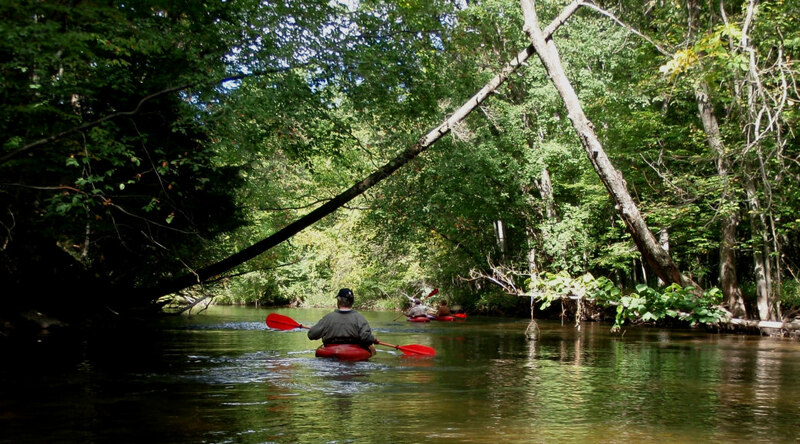 Home to plenty of lakes, rivers, and streams, water-based recreation is available year round in the forest. Boating, canoeing, kayaking, scuba diving, swimming (which is allowed in any waterway unless otherwise posted), tubing, and even water skiing are all activities you can expect to see people enjoying in the national forest. As is the case across the U.S., invasive species are a problem, so make sure to thoroughly clean all of your equipment before entering any water body and after exiting. Before dropping a fishing line in the water, pick up a license. 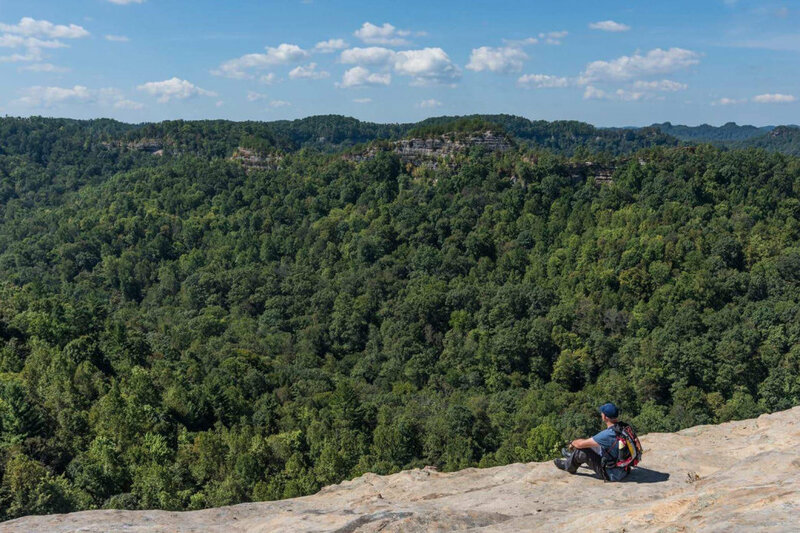 Of course, Daniel Boone National Forest is a great place to go for any of the mainstays of outdoor recreation. 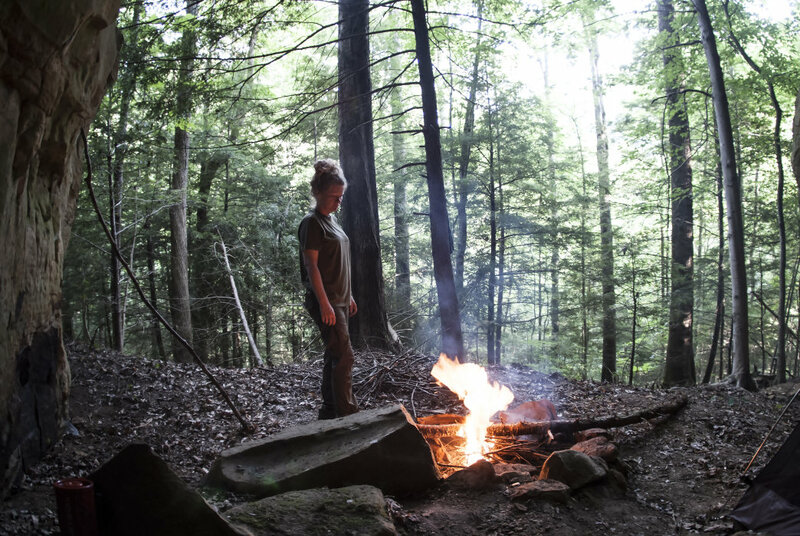 The forest boasts more than 600 miles of trails ideal for both day hiking and backpacking, plus year-round bike friendly roads, and sandstone cliffs that climbers fawn over. Considering the sheer size of the forest, you’d be hard pressed to have the same experience each time you go. Every visit is a new adventure, no matter your outdoor recreation preference. There are a few trails and excursions that stand out above the rest. The Sky Bridge Trail in the Red River Gorge section of the park is short and sweet, but includes views that will stop you in your tracks. The trail is a one-mile loop that’s family and dog friendly since much of it is paved. For a path less traveled, try the Rock Bridge Trail. It’s a 1.4-mile hike that’s rated as moderate but is actually quite easy. The trail is accessible year round and takes visitors past waterfalls. Bikers are sure to find a challenge in the park. 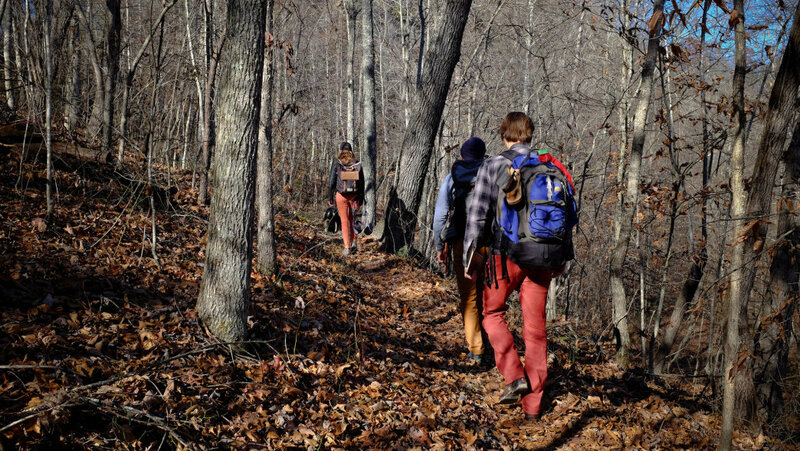 The majority of the trails were originally designed for hiking only, resulting in several narrow and steep sections. But many of the designated biking trails are shared trails. Among these that are less used by non-bikers, is Section 16 of the larger Sheltowee Trace National Recreation Trail. This section is entirely roadway, which means it provides a more bike-centric trail experience. 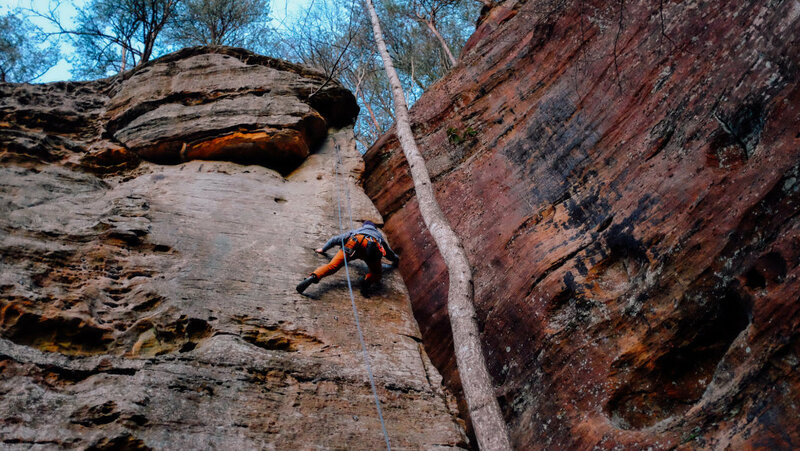 Climbers from around the world delight in the forest's Red River Gorge. The area has a variety of routes perfect for all levels of climber from beginner to more advanced. The Motherlode and Fortress Wall, among others, are popular spots to start and will keep you busy for days on end.